The peerage in Malta consists of the Maltese nobility together with the holders of bona fide foreign titles, writes Charles Gauci. 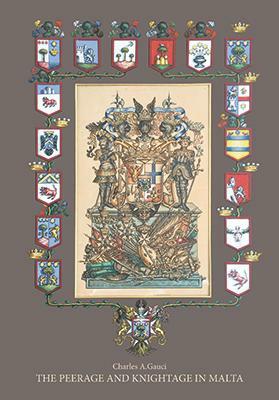 Count Rosario Messina (foreign title) – The Genealogy and Heraldry of the Noble Families of Malta Vol. 2, by Charles Gauci. Right: Arms of the noble family of Inguanez on the main Mdina gate (Barbara Gauci). Some form of nobility was already established in Malta by 1283. Tracts of land were granted as military fiefs by the reigning monarchs of Sicily. Special mention must be made of the fiefs of Djar il-Bniet and of Buqana, both granted with the obligation of military service, the former in 1350 and the latter in 1372. 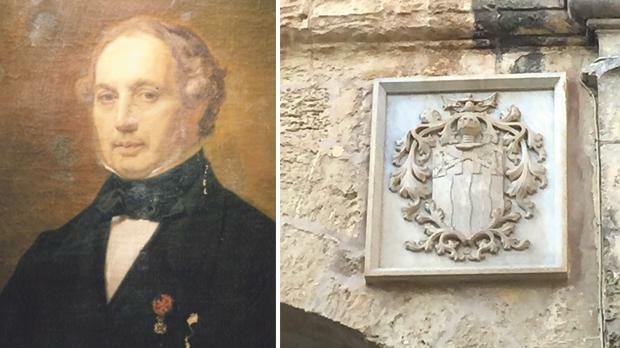 Both these fiefs passed onto the Inguanez family and constitute the premier titles of the Maltese islands, held by The Most Noble Dr Carmelo Apap Bologna Sceberras D’Amico Inguanez. Cardinal Fabrizio Sceberras Testaferrata, the first Maltese cardinal (Araldica Vaticana). Local precedence is determined by the antiquity of a title not by its degree. Baron Antonio Inguanez, a Spaniard, was instrumental in holding the Maltese islands loyal to the House of Aragon during the Monroy rebellion of 1425. In 1427, King Alfonso V of Aragon, king of Sicily, invested the baron as Governor of Malta (Ħakem) in gratitude for his service to the House of Aragon. In 1447, the king gave permission for the arms of Inguanez to be placed on the inner side of the main gate at Mdina, beneath the royal arms, to commemorate Antonio’s service. Following the Monroy incident, the Maltese islands were firmly incorporated within the Sicilian realm until they were ceded to the Order of St John. The Maltese islands were ceded as a fief to the Order of Saint John by the Holy Roman Emperor Charles V in 1530. The grand masters were sovereign princes of the Maltese islands with every right to create titles of nobility. Initially, the Order did not create any new titles but only renewed ancient grants that had previously become extinct. These titles were of a feudal nature and lands were granted to the nobles in question. From 1710, with the exception of some families whose private holdings were enhanced by the bestowal of a title, most of the people ennobled were only nominally in possession of their fiefs, which remained firmly in the possession of the Order. The grantee and his successors were obliged to present an annual tribute to the reigning grand master. 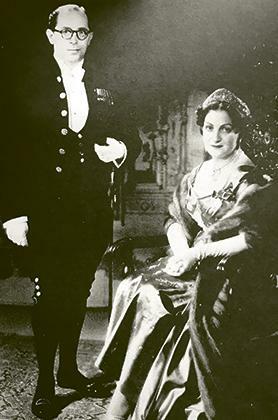 The Baron and Baroness of Budach in London on the occasion of the coronation of Queen Elizabeth II, 1953; this photograph was set up by Antony Armstrong-Jones, later the 1st Earl of Snowdon (Marquis Nicholas J. de Piro, Baron of Budach). Any title not previously created by the kings of Sicily or not created by the grand masters themselves, unless specifically recognised by them, had no legal standing on the islands. The great majority of present-day Maltese nobles derive their titles from the Order. Most of these magistral titles, together with those foreign titles recognised by the Order, were straightforward business transactions and not granted in recompense for the performance of any particularly outstanding deed. A number of Maltese nobles were appointed to key positions of power by the Order. 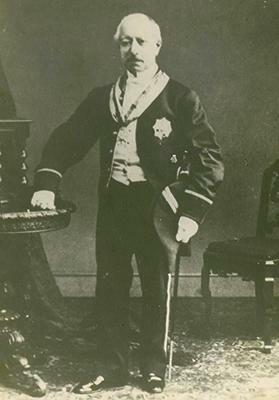 The Capitano della Verga (Lieutenant-Governor) who held precedence over everyone, save the grand master himself, was usually a member of the nobility. At all formal State occasions, the nobles were awarded positions of prominence. Thus, when the new grand master took possession of the capital city after his election, his standard-bearer was always a member of the Maltese nobility as were the guards of his carriage. On June 12, 1798 the Order capitulated to the forces of the French Republic. Napoleon Bonaparte abolished the nobility and all the former nobles were ordered to throw their patents of nobility into a bonfire. Fortunately, some only destroyed facsimiles, thus a few original patents have survived. It was also very fortunate that the records of the Order were not destroyed. Every title created or recognised by them was meticulously entered in these records and, thus, preserved. Lt Col Frederick Sedley-Alessi, 5th Marquis of Taflia (The Genealogy and Heraldry of the Noble Families of Malta Vol. 2 by Charles Gauci (PEG Ltd) – 1992. The French occupation was shortlived. On September 2 of the same year, the Maltese people rose in rebellion laying a successful siege against the French, which ended in 1800. Three of the four leaders of the rebellion were nobles – Count Salvatore Manduca, Marquis Vincenzo de Piro, and Count Ferdinando Teuma Castelletti. The British had never before been faced with a colony that had its own established European nobility. This confused them. A Royal Commission, composed of two Maltese judges, was appointed to identify those titles that had been granted, registered or otherwise recognised during the government of Malta by the Order. Their initial report, completed by May 1878, together other subsequent reports and “grace and favour” rulings (by the Secretary of State for the Colonies) resulted in 32 titles being recognised by the British Crown. These titles form the Maltese nobility as it still exists today. The commission was of dubious legality and a number of its conclusions bordered on the bizarre. The commissioners also made several important caveats when releasing their report. Among these was the admission that they appreciated the fact that other genuine titles existed, details of which had not been presented to them. Succession to Maltese titles was decided by a Committee of Privileges whose decisions could always be overturned by a court of law. Although the nobles themselves were not granted any special rights, many, both men and women, played an active and prominent part in the political, social, economic and spiritual life of the islands during British rule. A number of nobles were knighted or given fewer honours in distinguished British Orders of Chivalry. 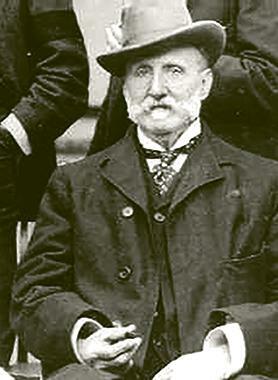 In 1928, Sir Gerald Strickland, Count of Catena, received the only British peerage ever conferred upon a Maltese noble. Sir Pasquale Sceberras Trigona, KCMG, 14th Baron of Castel Cicciano (The Genealogy and Heraldry of the Noble Families of Malta Vol. 2 by Charles Gauci. Throughout its history, the nobility endowed many churches, built many fine palazzi and patronised the arts. 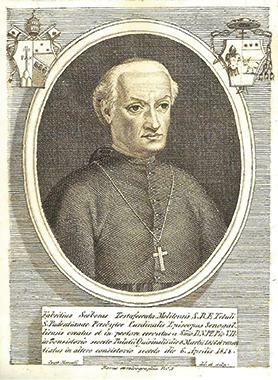 The first Maltese cardinal, Fabrizio Sceberras Testaferrata, was a member of the nobility. Two other nobles, The Blessed Sister Adeodata Pisani and the Servant of God, Mgr Giuseppe de Piro, are now candidates for eventual sainthood. Malta became independent from Britain on September 21, 1964 but initially maintained the status of a monarchy with Queen Elizabeth II as queen of Malta. The Maltese nobility was still accepted as an official body by the Government of Malta. The island was declared a republic within the Commonwealth on December 13, 1974 and, soon afterwards, the Maltese State withdrew all recognition of titles of nobility. The Committee of Privileges, now an unofficial private body, still meets to decide succession to titles but its decisions have no basis whatsoever in law. Hence, Maltese courts will not take cognisance of any nobiliary matter. Should anyone not agree with a decision made by the Committee of Privileges there is now no independent body to which they can appeal. Charles Gauci’s latest book published by Midsea Books Ltd.
Foreign titles together with the “32 titles” also form part of the nobility in Malta. The sources of these foreign titles are varied and include titles granted by foreign reigning sovereigns, sovereign pontiffs and by the heads of foreign ex-regnant Royal Houses. While there is no question regarding the validity of titles granted by reigning popes and sovereigns, the validity of titles granted by the heads of former regnant Houses very much depends on the latter possessing the legal right to do so. This right can be acknowledged by a number of disparate bodies, including higher courts of law, State institutions, other reigning monarchs or their royally-recognised representatives. Some Maltese citizens have been actively involved in assisting internationally-recognised foreign ex-regnant Houses in their efforts to re-establish their royal status and have been rewarded with titles of nobility for their efforts. These Houses include the Royal and Imperial House of Russia (Romanov dynasty) and the Royal House of Georgia (Bagrationi dynasty). The holders of most of these foreign titles are represented by the Association of Foreign Title-Holders in Malta. Both Maltese and foreign titles, together with the holders of knighthoods and Maltese State honours, are covered in some detail in my latest book The Peerage and Knightage in Malta. This book also contains several appendices that deal with various controversial topics. All my profits are going to the Association for Abandoned Animals.